Coolors is the super-fast color scheme generator! Used everyday by more than 500.000 creatives! Generate color schemes at lightspeed just by tapping on the screen! Type in your colors to get nice matching color combinations instantly! 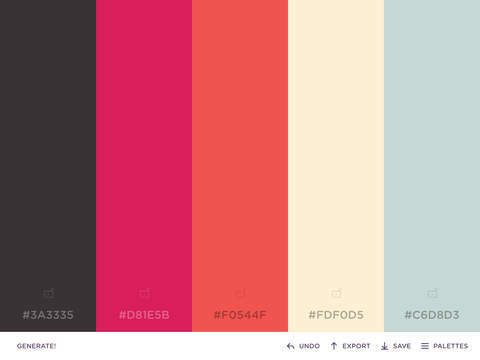 Browse thousands of popular palettes made by other cool creatives. Save your favorite in your account or copy, export or send via email. All the power of the Coolors now in your pocket! Check the video for more info!